By Amber Case. O’Reilly Books, Oct 2015. 150 pages. Case’s perspective on the Internet of Things totally re-wires our view of technology. Researchers at XEROX Parc were tackling the problems facing the Internet of Things back in the 70s, but now, too many people in tech are making the same mistakes, with executives intent on adding new features to their devices, because that’s the model they’re used to. In the next 5-10 years, we’re going to have a whole class of connected devices, but we’re still focused on building technology that’s complex and code heavy. We’re already encountering this problem now, with heavy applications struggling to work on connected smartphones with minimal battery life and consumer attention. So we’re going to see a return to lower level device languages — LEGO-type projects that reward interoperability, instead of the walled gardens we have now. Expect a massive sea change, because successful technology for the IoT era will become really simple, with minimal interfaces. 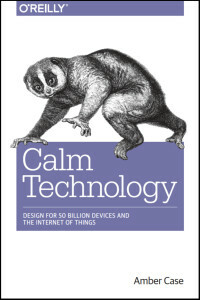 The future of the Internet of Things will be driven by “Calm Technology” – elegant, humane, unobtrusive. By Amber Case and Aaron Day. O’Reilly Books, September 2017 (est.). 300 pages. By Amber Case with Maggie Wauklyn (Illustrator), Douglas Rushkoff (Introduction). CreateSpace, Jan 2014. 110 pages. What does it mean to have an online persona? How is technology changing the way we work, live and play? How do our tools influence the way we interact with the world? Technology is intertwined with almost every aspect of our lives. Our cell phones, cars and laptops have turned us into cyborgs. 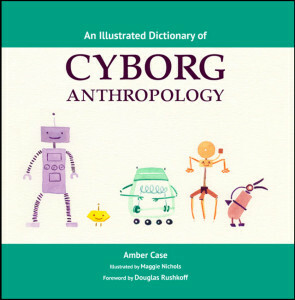 Cyborg Anthropology is a way of exploring how we live as a connected species. This book explores topics such as junk sleep, hyperlinked memories, panic architecture, the quantified self, and how humans are changing through the use of technology. 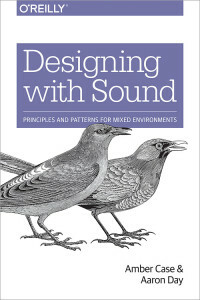 This book is an appetizer for an emerging field of study, an inspirational starting point for designers, developers, researchers, students, and anyone who wishes to explore the symbiotic relationship between technology and culture.